tibet « kashmir blogs-Truth about Kashmir-" kashmir blog""
kashmir blogs-Truth about Kashmir-" kashmir blog""
Leftist-Jihadis; where is my free speech? On the name of ‘Free Speech’-The sloganeering at the JNU in early Feb, in Support of the Terrorist Afzal Guru was meticulously planned by the Jihadists and supported by the leftists. This combination of leftist-jihadi in India is very peculiar and rather Unusual. The Islamist are the religious zealots, and they propagate Islam and its ideology. The communists on the other hand are known to be Atheist. So, how come they have become the Blood-Brothers! The slogan, “Bharat tere tookde Hoonge, InshaAllah InshaAllah” is no way an expression of Free speech, Rather it shows, how much tolerant Hindu-India is. Had the slogan, “Pakistan/China tere tookde ho” been raised in Pakistan/China by any minority, He would have been hanged to Death by now. I wonder, “What is a free speech”? “Free-Speech”-reminds me instantly of the sloganeering that was witnessed by me in Kashmir, when every Mosque in my vicinity gag-ordered my community to either mingle with them( and become a Muslim) or else be ready to die. I was a victim. I was the oppressed. But, I didn’t had the freedom of ‘free speech’. There is no way, any minority group in a Muslim Majority area can have the privilege of a ‘Free Speech’. For Leftists, all the problems existing in India is merely because of the Brahmins. Being a Kashmiri Hindu, that too a Brahmin, I am by-default deemed to be fit to be called a Fascist, communal and any attempt to raise my voice against the atrocities meted out to me in a Muslim Majority state will be turned down by the leftists and term it as a Threat to Indian Muslims and the secular fabric of India. The terminology of the “Victim” changes when it comes to the Kashmiri Hindus. My lands have been encroached illegally by the Muslim Majority, My temples desecrated or burnt Down by the Jihadis, My Brethren murdered in the most inhuman way. But for the people of Leftist-Jihadi mindset, I remain as an oppressor. The oppressed is always who adheres to their ideology. Otherwise how can we justify the stoic silence of the leftists on some of the issues where the Oppressor was a Communist Country and the Oppressed was someone, who did not adhere to their ideology. They condone the atrocities by any communist Nation or Group. It will be foolish of me to expect that the so-called-liberal-leftist can ever propagate and live in any Muslim Nation; That is why the ideology of communism could not make any inroads in these nations; except for Turkey, where it showed some strength, some resistance, before it got swallowed by the totalitarian-religious-ideology. In fact both the ideologies are expansionist, totalitarian and there is no room for the dissent. Tibetans are still languishing in India. They like the Kashmiri Pandits were forced into the Exile by their oppressors. But for the leftists, Tibetan Buddhists and their supreme leader, Nobel prize for peace winner-Dalai Lama is a Fascist. Kashmiri Pandits, who were ousted by their leftist cohorts-the jihadis, are not allowed to return to their Homes. In fact there are no Homes left now as 50% of the properties were sold in Duress and the other 50% are illegally occupied by those people whom the leftists term as the “Oppressors”. The reason for being them as Oppressor is merely because of the Prefix ‘Pandits’ to Kashmiri Hindus. The leftist and the Jihadis dream of balkanization of India. They do not recognize India as a Nation and are often heard opining that with so many linguistic differences between so many ethnic and regional groups, The Title or the Nation, ‘India’ is a misnomer; citing examples from the past when there were more than 600 small Princely states under the Britsh. The Leftist-Jihadi combination are also supporters of all those groups who are advocating for separate Nations to be carved out from India. In short, they are the enemies of the Nation, who are merely propagating the Chinese and the Islamist Propaganda. And get paid for their Endeavour by their masters. It is a war waged by the Islamists and the Chinese, through their surrogates, Otherwise, how can the incidents of Muslim-Suppression in China be explained. Islamist are under attack in the province of Xinjiang. Imams from its eastern Muslim majority Xinjiang region were forced to dance in the street and swear to an oath that they would not teach religion to children. The imams were also forced to tell children that prayer was harmful for the soul.The Muslim imams were further forced to brandish the slogan that “our income comes from the CKP [Chinese Communist Party] not from Allah”. Similarly the Communists were slaughtered by the Islamist forces in Indonesia in 1965-66.It is estimated that in that slaughter nearly 1 million people were murdered. The majority of the people were those, who were active communists or their supporters. The Jihadis ideology and the leftist ideology though totalitarian and Expansionist, are totally opposite to each other. The leftists who are showing their dissent against India are the puppets of China, and the Islamists represent an ideology, where the world population recognizes Islam as their religion. It is just because India happens to be their common enemy, they have embraced each other. This combination will remain till the Time India remains as a Nation. Otherwise there are ample examples, some of them cited above, that indicate that are these two ideologies can not stand each other. And for the ‘Free Speech’-As long as it is termed as an expression against Hindus and against the Nation of India ; and as long as India remains a Hindus majority state, they will be tolerated. Tibet, china, Mongolia and Indian sub-continent have shared a lot in terms of cultural exchange and religious ideologies. There have been times in history when Tibet had a greater control over china and vice-versa. The actual problem started when in 1911-1912 Tibet claimed full independence from china under Thirteenth Dalai Lama. The Chinese revolution of 1911 dethroned the last Manchurian emperor and subsequently religious bonding with Tibet was also snapped. And thereafter Tibet relied heavily on Dalai Lama for administrative and religious thoughts and philosophy and also British in India for support and protection. It continued to maintain neighborly goodwill and friendship with the people of China, but never acceded to the Chinese claim of suzerainty in 1914.British persuaded Tibet to sign treaty with china which was of nominal or non-interfering suzerainty (1914) and China was accorded the right to maintain a mission in Lhasa and at the same time it was forbidden to interfere in any of the internal affairs of Tibet.However that suzerainty was not enforced as Chinese did not sign the treaty. Tibet maintained its unique identity, independent and friendly relations with its neighboring countries including India.The real problem started when china became full fledged communist state and Tibetan Government broke off diplomatic relations with China and made a Chinese representative in Lhasa depart from Tibet in July, 1949 and Tibet cut off all relations with china and its communists. Since China was militarily more powerful than Tibet thus it agreed to negotiate on friendly terms with the Chinese Government. It sent a mission to negotiate with china but took longer time as it needed a British visa to transit through Hong Kong. Indian govt.helped Tibetan mission to have negotiations with Chinese ambassador. Meanwhile Chinese troops without warning or provocation crossed Tibetan boundaries and quickly captured important places like Demar, Kamto, Tunga, Tshame, Rimochegotyu, Yakalo, and Markham. The armed invasion of Tibet for the incorporation of Tibet in Communist China through sheer physical force is a clear case of aggression and violation of human rights. 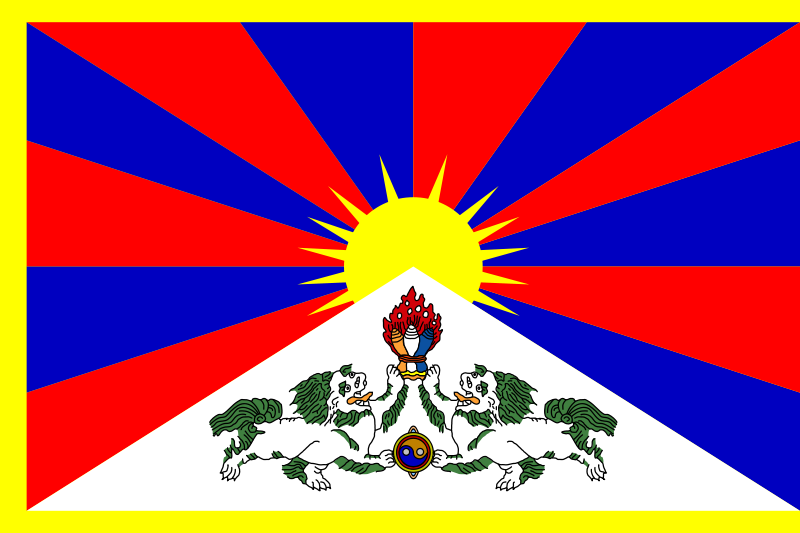 I personally have very deep feeling and support for people of Tibet and I support Tibetans for free Tibet. As all of us know China and Pakistan share a very close relation and Pakistan is heavily inclined towards china for military and strategic support .Pakistan did exactly what china did to Tibetans. Pakistan forced the Hindu population of Kashmir to migrate to different parts of globe by killing mercilessly. Kashmir has a total population of less than 10,000 Hindus which used to be 5lakh just 18 years back. Coming back to Tibet, Tibetans have lost their motherland for the time being and I am somewhat puzzled by the Indian government’s reaction which is not as warm as it used to be. Is the coalition government of communists responsible for this? I have not yet heard any reactions from communists in India. On my recent visit to majnu ka tila in Delhi which is at present home to many Tibetans, Things are somewhat different. One can clearly feel the tension and helplessness of Tibetans. With some difficulty I could get some words from a Tibetan women who sells T- shirts and jeans and she spoke in broken Hindi “China hamara dushman hai!” and again thought for some time may be 5-6 seconds and said “India hamara dost hai” her last question question was “Aap ko kya chahiyeh?”.After I left the place, I wondered how difficult it is for the Tibetans as tibetans are scattered are over world but somehow have managed their unique identity and culture.I also wondered the hardships faced by tibetans all over world as they have been uprooted from their motherland just as I was uprooted from Kashmir, at the same time I am quite impressed by tibetans for their beleif in self and their dream for beloved motherland—free Tibet.